Completed or pursuing 10+2 or equivalent examination. Relaxation of 5 years in upper age limit. Indian: All eligible Indian students can apply for VTUEEE 2019. 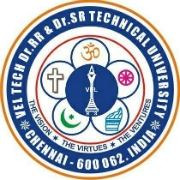 Foreign: Candidates from foreign countries can also apply for admission to Vel Tech University. Applicants showing up in VTUEEE 2019 must be under 25 years as on July 1, 2019. Applicants that belong to Physically Challenged (PC), Scheduled Tribe (ST), Scheduled Caste (SC) group will get a relaxation of 5 years in the upper age limit. D.O.B Certificate: The university considers only Secondary Education Board/University certificate as proof of date of birth to satisfy the eligibility criteria. Applicants should have qualified 10+2 or any proportionate exam from a recognised board. There is also a provision for candidates who are appearing for 10+2 (Class XII) final or equivalent examination in March / April / May 2019 to appear for Vel tech entrance exam 2019. Candidates must have qualified 10+2 or Higher Secondary Examination conducted by any State Board, Central Board of Higher Secondary Education (CBSE, New Delhi). The Council for Indian School Certificate Examination (CISCE, New Delhi). National Institute of Open Schooling; Intermediate or two-year Pre-University Examination conducted by a recognized Board / University. High School Certificate Examination of the University of Cambridge or equivalent. Application Form: After checking the eligibility criteria, the eligible candidates can check the VTUEEE 2019 exam date and fill the VTUEEE 2019 Application Form. Note: For honor of the Veltech Mahatma Gandhi National Merit Scholarship, the state from which the applicant has considered and showed up for the qualifying examination (twelfth standard examination of the State or Central Board) will be taken as the state to which the competitor has a place, despite the fact that the nativity of the candidate may be another state or union territory to satisfy the qualification condition. Is there is any age relaxation for SC candidates? SC candidates will get 5 years of age relaxation in VTUEEE exam. Read more about VTUEEE eligibility criteria. What is the the upper age limit for VTUEEE exam? Candidates appearing in VTUEEE 2018 must be less than 25 years of age.